Keep your beard looking healthy and maintained with beard balm. Beard balm helps tame your beard giving it a finished look. Our balms are smooth and offer the right amount of oils to ensure your beard doesn't look greasy. 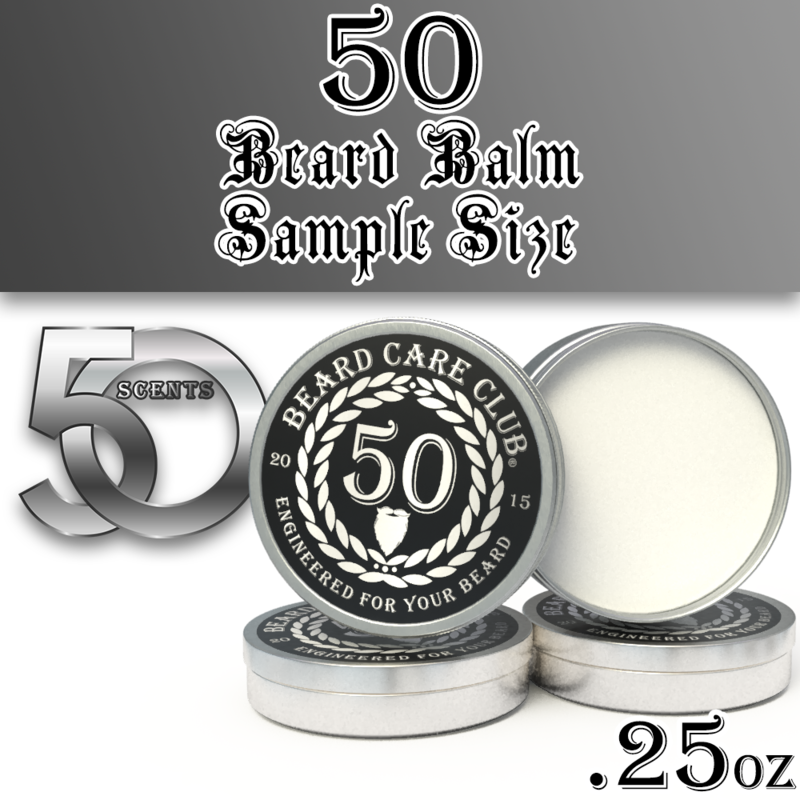 Our “50” beard balm contains high quality oils, butters, and bees wax to seal in the moisture while giving your beard the hold you desire. We can't tell you how exciting it is to release our 50th scent! When we first started this business, we never imagined the places it would take us, even more so, we never imagined releasing 50 different scents of beard care products. Thank you to all our loyal customers. You guys are awesome! For our 50th scent we decided to simply name it "50". 50 is a classic, warm, and masculine scent. Since smell is one of the most powerful of our five senses, we're sure this fragrance will trigger some of your most enjoyable memories. It sure did for us! We hope you enjoy 50.